David Nalbandian is the latest in a long line of top players who will miss the French Open through injury. 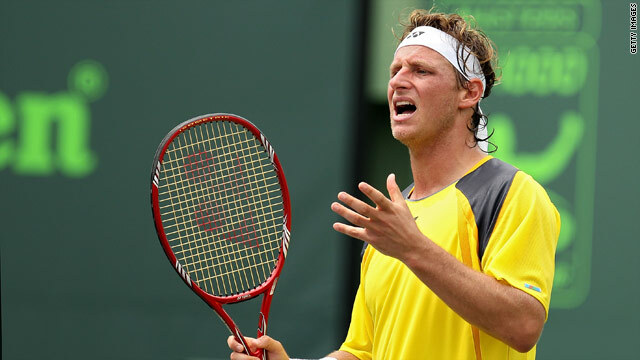 (CNN) -- David Nalbandian has pulled out of the French Open after the 28-year-old Argentine confirmed on his official Web site he has been sidelined with a hamstring injury. The former world number three, who has twice reached the semifinals in Paris, has been plagued with injuries in recent years and only returned to the ATP Tour in February after a 12-month break in which he underwent hip surgery. Since January, Nalbandian has pulled out of tournaments in Barcelona and Rome with a knee problems and has seen his world ranking drop to 150 as a consequence. Nalbandian joins a long line of big names to withdraw from the French Open -- which begins on 23 May -- through injury. Compatriot Juan Martin Del Potro, Russia's Nikolay Davydenko, home favorite Gilles Simon and Belgian Kim Clijsters on the women's side will also all be absent from the clay-court major. The absence of so many top players is the latest in a series of problems for the organizers, who are also facing criticism over proposals to move the tournament from Roland Garros to a new out-of-town location in the next few years.